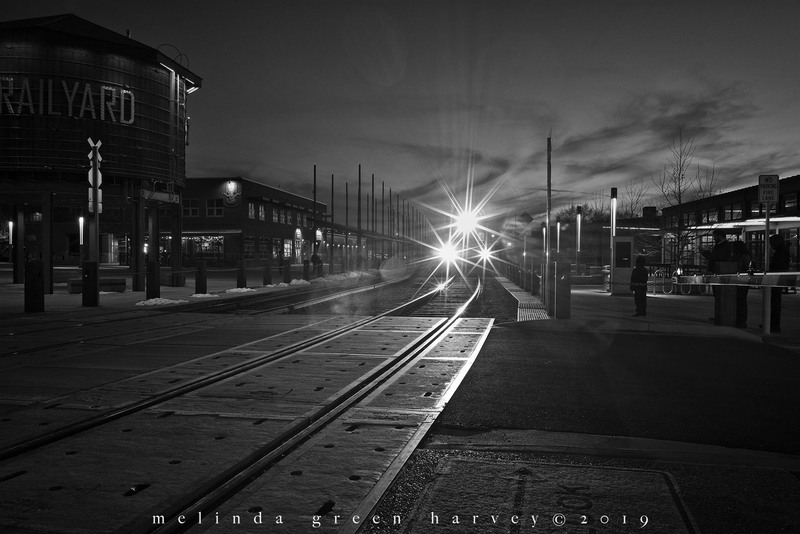 Posted on March 31, 2019, in Photography and tagged 365 photo project, black and white photography, learning to see, Leica, lights, melinda green harvey, monochrome, new mexico, night, one day one image, photo a day, photography, postaday, Rail Runner, road trip, santa fe, thoughtful seeing, trail, travel, travel photography. Bookmark the permalink. 9 Comments. Awesome capture MGH. Wish I could take advantage of a free Wednesday ride. I always love a train ride, Melinda, for many reasons you said. Nice use of black and white, timing, and silhouette. This one is a work of Art!! I like trains, too – so did my dad and he planned many trips around what trains he could see along the way. Views from trains are endlessly fascinating, no matter if it’s open country or a bunch of back yards. Your lighting is outstanding. Another winner. Hope you’ll be submitting this for recognition. Thank you, Linda. I’ll be watching for competitions for train photos…!